This is the coffee known around the world for its rich, full-bodied flavor. Traditional coffee drinkers everywhere appreciate the consistency of the expertly roasted, premium-quality beans that go into brewing the coffee that is good to the last drop Serve it at home or the office. Beverage Type: Coffee Flavor: Regular Packing Type: Filter Pack Capacity Weight: 1.2 oz. View More In Instant Coffee. 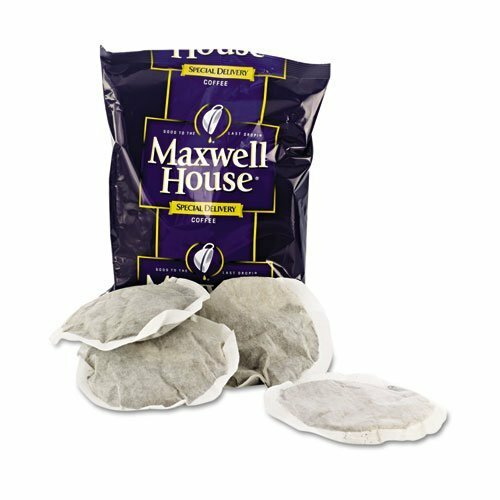 If you have any questions about this product by MAXWELL HOUSE, contact us by completing and submitting the form below. If you are looking for a specif part number, please include it with your message. Taster's Choice Original Gourmet Instant Coffee 12Oz"3 Pack"